Stirred by the acceptance and addition to our paper on the Gemelli Obturator Internus Complex (GOIC syndrome), I write this message. Lead paper for the December 2017 Cox Research Pearls: Astounding when I look back historically and remember being told by Skeletal Radiology, when I submitted a paper to them for publication, that they only accepted high level research. Also Terry Yochum and I were both told in the 1980’s by Saunders medical publishers that they only published books written by doctors. Wonder how they feel about that statement today? 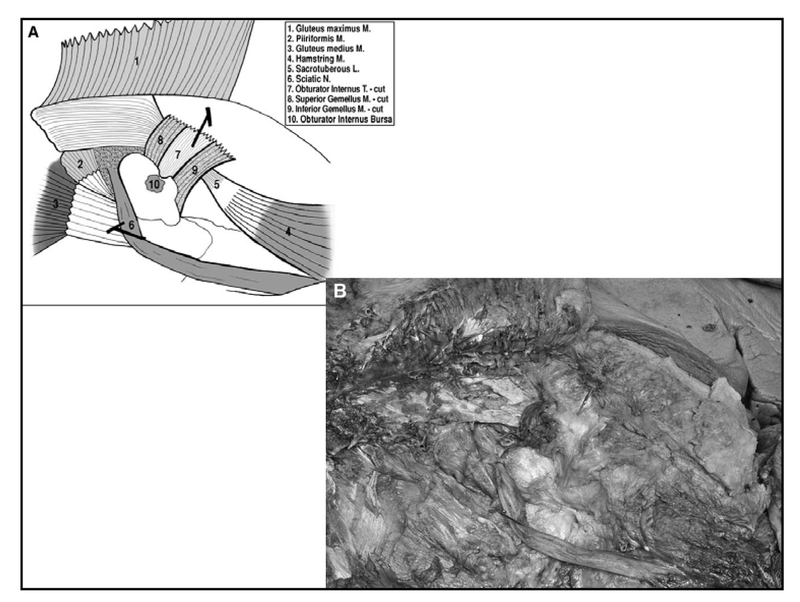 This paper studied the GOIC anatomy with ultrasound of the retrotrochanteric bursa and revealed the presence of connective tissue attaching the sciatic nerve to the structures of the gemellus-obturator system at the deep subgluteal space. The amplitude of the nerve curvature during rotating position was significantly greater than during resting position. During passive internal rotation, the sciatic nerve of both cadavers and healthy volunteers transformed from a straight structure to a curved structure tethered at two points as the tendon of the obturator internus contracted downwards. Conversely, external hip rotation caused the nerve to relax. The conclusion is that the sciatic nerve is closely related to the gemelli-obturator internus complex. This relationship results in a reproducible dynamic behavior of the sciatic nerve during passive hip rotation, which may contribute to explain the pathological mechanisms of the obturator internal gemellus syndrome. I point out that at least a chiropractic paper led to publication in a major medical journal, even though it is somewhat skewed in its course. Nevertheless, our treatment of the GOIC syndrome as delivered in didactic and hand on lecture is a great benefit in relieving sciatic pain. Perhaps these studies will direct chiropractors to study the GOIC syndrome with us.